Mychelle Davis was last seen Friday, Dec. 22. Police are looking for a girl who has been missing for two weeks. 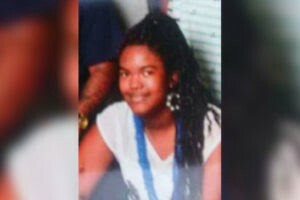 Mychelle Davis, 15, was last seen Friday, Dec. 22, on the 2200 block of Pratt Street. Mychelle is 5 feet 4 and weighs 160 pounds with a small build. She has brown eyes, medium complexion and black straight hair that goes below the shoulder. She was wearing a red shirt, black jeans and red sneakers.